Developed by Healthy London Partnership in collaboration with NHS Benchmarking, the London Mental Health Dashboard makes a wide range of London’s mental health data publicly accessible in one place. Zoë Morris, programme manager at NHS Benchmarking Network, reflects on the development and journey of the dashboard to date. “Launched in October 2016, the London Mental Health Dashboard now has over 200 users from across London’s health and care system. It has grown rapidly since its launch, becoming the one-stop-shop for current and reliable data on London’s mental health services, and the health needs of Londoners. As part of London’s commitment to transparency, the dashboard has been available to the public since October 2018. We welcome use of the dashboard by service users, carers and anyone else with an interest in mental health services in the capital. 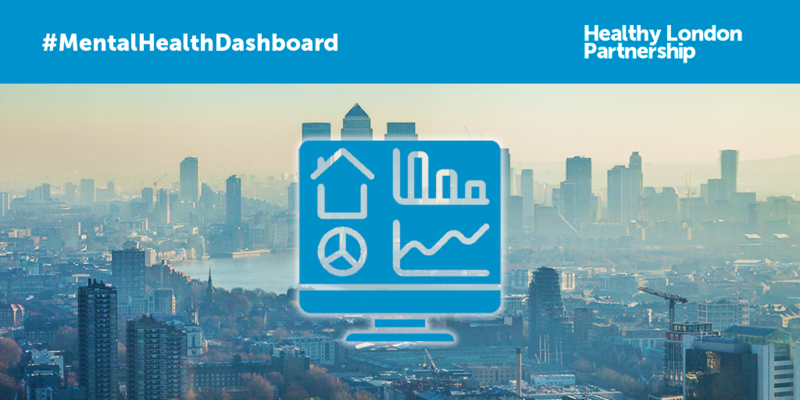 The dashboard showcases data from across London, at both CCG/borough and provider level. This allows users to examine similarities and differences across London and how this is reflected in demand and provision of services at a local level. Data items are grouped by themes including public health, primary care, community care and inpatient care. Areas that link to national priorities also feature on the dashboard, for example children’s mental health, first episode psychosis, maternal mental health and care for older people, and users can track progress over time on a local and London-wide level. People in need of mental health support may come into contact with a range of services. For this reason, we have engaged with the London Ambulance Service and the Metropolitan Police Service, both of whom provide data to the dashboard. In addition to this, social care data is now also included in the dashboard and this is helping to provide a comprehensive picture across the whole of health and social care. Specialised commissioning data adds an additional level of detail, in particular of Londoners who are using services beyond London through out of area placements.